Once upon a time there was a little round plate that was divided into four colorful sections with a little round circle on its upper right shoulder. This little plate had no idea why someone would unevenly divide it’s smooth, round surface. 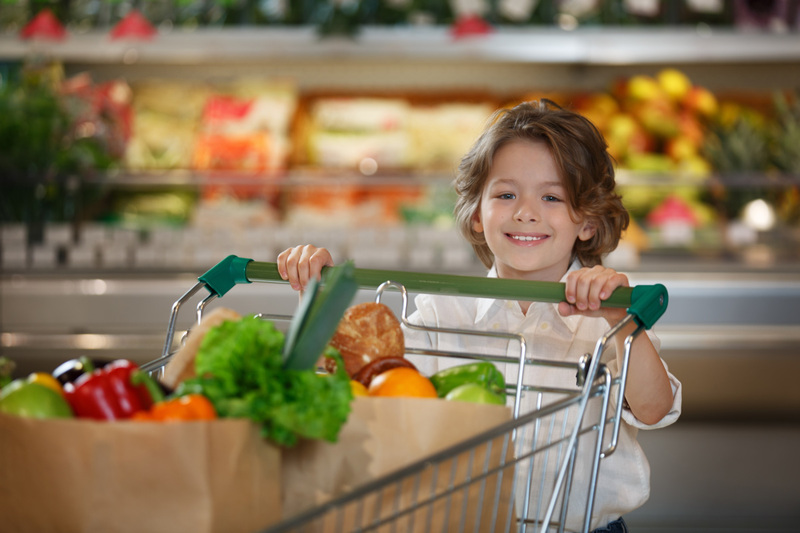 The purpose of MyPlate is to promote messages based on the 2010 Dietary Guidelines for Americans. 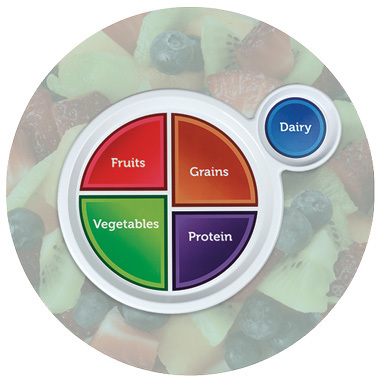 MyPlate emphasizes five food groups: fruits, vegetables, grains, protein and dairy products. Consuming balanced portions of each of these food groups as recommended in MyPlate helps you build and maintain a healthy body. 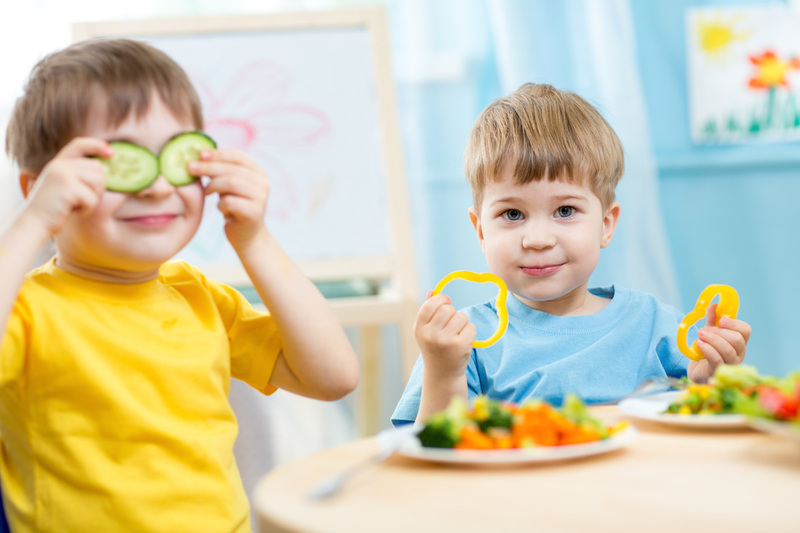 The message of MyPlate is simple and twofold: Eat a balanced meal with half the plate being filled by fruits and vegetables, paired with lean proteins, whole grains and low fat dairy; and balance your calories with your level of activity. It seems like such an easy way to eat, but it isn’t. With advertising spending billions of dollars connecting high salt, high fat food with a happy lifestyle, it is a mountain that seems impossible to climb. After all – why would you snack on a carrot when there are nacho-flavored chips in the cabinet? According to the Centers for Disease Control and Prevention, more than one-third of U.S. adults are obese. Obesity related conditions include heart disease, stroke, Type 2 diabetes, and certain types of cancer. And according to the State of Obesity website, the latest data show that the national childhood obesity rate among 2- to 19-year-olds is 18.5 percent. Move the percentage up or down, it still is alarming. So what’s a colorfully divided plate to do? Actually, MyPlate works as a guideline to how you should divide your meals. Fruit portions are red, vegetable portions are green, grains are orange, protein is purple, and dairy is blue. The purpose of a visual division of meal portions is to reinforce the importance of fiber (grains, protein), fruits, and vegetables. You don’t see a portion color for chips, cookies, or chili cheese dogs. There’s a reason for that. 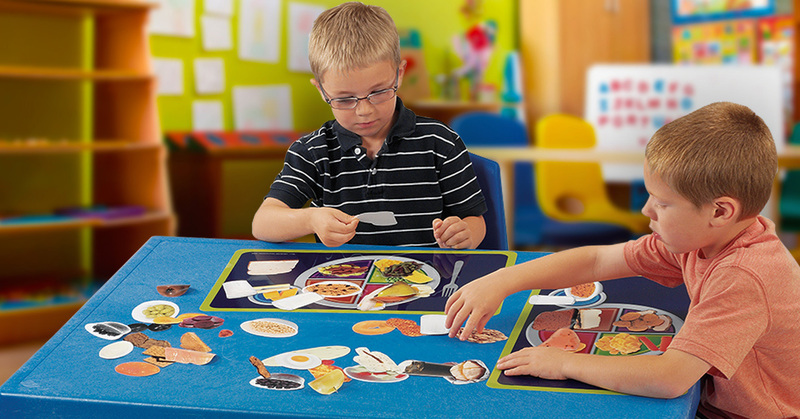 The MyPlate plate reflects the amount of the five food groups you should eat every day. Fat increases your caloric intake and introduces detrimental elements into your bloodstream that threaten your health and longevity. Eating too much solid fat, which provides no essential nutrition other than calories, can also indicate deficiencies in vitamins, minerals and beneficial dietary fiber. Over time, consuming more than 20 to 35 percent of calories from fat can cause weight gain, obesity and chronic diseases that cannot be cured. Too much salt can lead to high blood pressure, heart attack, and stroke. It can also lead to heart failure. Too many carbohydrates, especially those with a high glycemic load, can increase your risk of several disorders, including Type 2 diabetes. Too many refined carbohydrates can raise your blood level of triglycerides, a type of unhealthy fat that travels in your blood. According to the Linus Pauling Institute, it can also lower your blood levels of high-density lipoprotein, often referred to as good cholesterol. High triglyceride levels along with relatively low levels of high-density lipoprotein can significantly raise your risk of heart disease. Now that you realize how important a balanced diet is, how do you maintain it while not giving up your processed snacks? Teach your students the highlights of substitution. Change your potato chip ways for whole grains in the form of whole-wheat bread, crackers, brown rice, or oatmeal. These grains fill you up without relying on fats to make you full. Gotta have salt with your grains? Whole-wheat crackers are the rage. You need protein for strength, and a little goes a long way. Proteins include beef, poultry, seafood, dried beans and peas, eggs, nuts, and seeds. Dairy includes foods that are rich in calcium, like milk, cheese, and yogurt. Calcium builds strong bones and teeth. But you knew that – that’s the first thing moms tell their kids. Encourage snacks that are fresh, raw, and available. Fruits are just that. Fruits. Sweet and delicious, it should be easy to make them part of your meal. The red section of MyPlate is slightly smaller than the green, but together fruits and veggies should fill half your plate. Fruits do wonders as in-between meal snacks too. Then there’s that old love/hate relationship we have with vegetables. The veggie portion of MyPlate is the largest section of the plate. That’s because vegetables provide many of the vitamins and minerals we need for good health. Veggies are naturally low in calories, and the fiber in them helps us feel full. So now the colorful MyPlate knows its place in the world. It is a reminder to keep portions manageable. Stay away from fatty foods and empty calories, and keep your calcium level up. Snacks now and then wont hurt you, but always remember the Plate.